It's Thousand Words Thursday! This is another first for me. 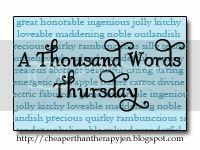 Head over to Cheaper than Therapy to see how it's really done and use Mr. Linky to link your own Thousand Word Thursday photo! 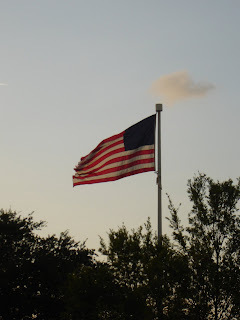 This picture was taken last year in Savannah, GA on the fourth of July. As you may know Mr. Ski is in the Army and served a tour in Iraq. This day was hard for Mr. Ski because his brothers in arms were in Afghanistan at the time and Mr. Ski wanted nothing more than to be fighting along side them. But the Army had different plans for him due to a back injury he sustained the during his first deployment. This photo represents a country at war. My thoughts and prayers are with all the soldiers fighting for our freedom. May they all come home safely.